PLATINIUM substrates are specially designed to pass all your crops and planting houseplants. They are made of the best materials available on the market: peat moss sifted into different fractions, black peat, perlite with appropriate fertilization. Fractions used and fertilization are optimized depending on the desired application. Thus we offer the Light Mix, the Grow Mix, Royal Mix, Mix and Coco. Other substrates for hydroponics are offered by Platinium Soil: Hydro-Mix 8/20, perlite and vermiculite. The X-plug seed / sprouting substrates are germination plates composed of carefully selected peat cubes. The X-Plugs offer a high water availability for the plant, thanks to the use of carefully selected peat, but at the same time optimal aeration, thanks to the structure of the peat after sieving and the addition of perlite. 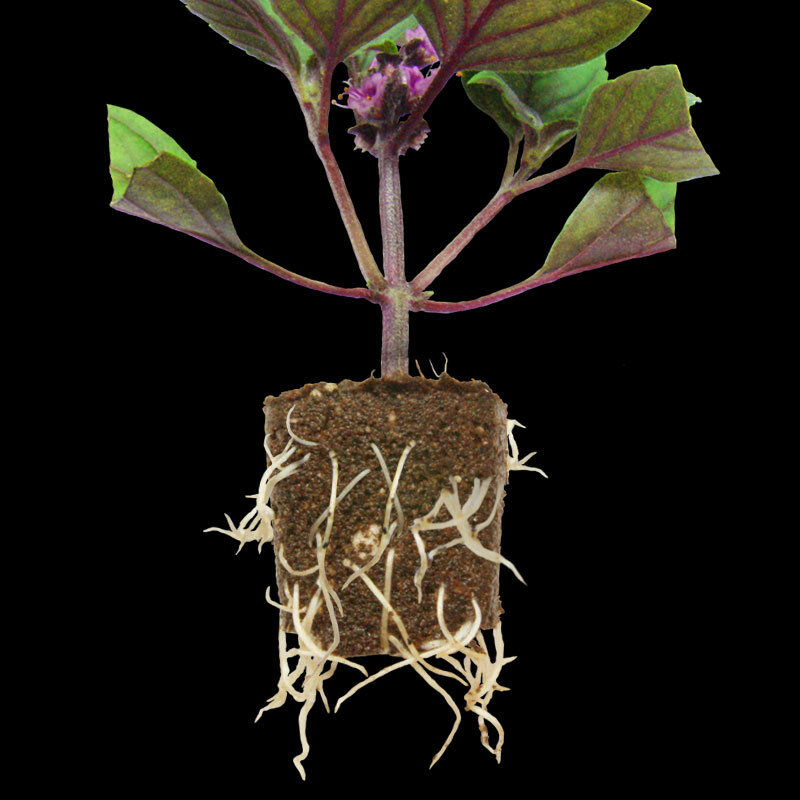 Platinium Soil X-Plug Plants are suitable for sowing and cutting and ensures a good start of your crop. They also benefit from the RHP Horticulture quality label, which guarantees a substrate that meets the highest physical and chemical requirements without pathogens, for the comfort of growers and the quality of crops and crops. Organic substrates Platinium Soil are specially designed to succeed all your crops and plantings of indoor plants. They are composed of the best raw materials available on the market: coconut fiber, peat, perlite and suitable fertilization. The fractions used as well as the fertilization are optimized according to the desired application of the product. So we offer the Light Mix, Grow Mix and Royal Mix or Coco Mix to continue your crops started with X-Plug. Coconut fiber, sphagnum peat, perlite, fertilizer. Volume: 24cc per plug, 104 units per tray. SUPPORT OF CULTURE NF U 44-551: Soil with fertilizer. Thoroughly water the corks until they drain off the excess water. The X-plug will retain the water they need for optimum moisture and air / water ratio. The use of Propagator Platinium Hydroponics Propagator is essential to the success of your cuttings and / or germination. Each X-plug contains a basic fertilizer for the first 2-3 weeks, after which you will need to add fertilizer. 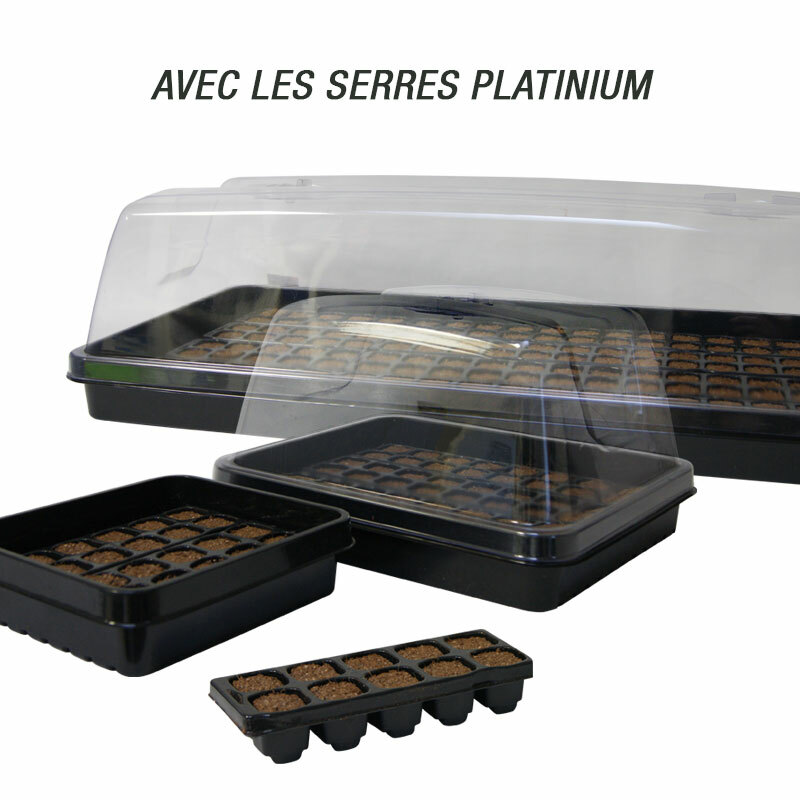 Propagator Greenhouses by Platinium Hydroponics . Light: no or little, broad spectrum, gradual increase of the light intake after the appearance of the first root.